Gainmart Premium Organic Virgin Coconut Oil Highest Quality 8 FL OZ Gainmart Premium Organic Virgin Coconut Oil Highest Quality 16 FL OZ. Gainmart Premium Organic Virgin Coconut Oil for Pets 100% Pure 16 FL OZ. SALOIO - Superior category - 500 ml - 16.90 oz. The extra virgin olive oil SALOIO, is preferred by those who like a more pronounced flavor of olive oil to the fruit. 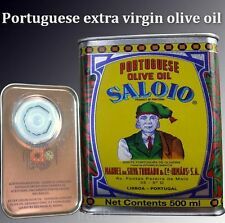 The SALOIO Olive oil was the first to cross the Portuguese border is now recognized internationally. Trending at C $19.99eBay determines this price through a machine-learned model of the product's sale prices within the last 90 days. 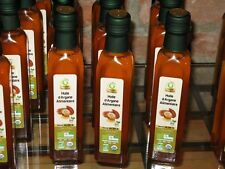 An edible oil obtained from the nuts grown onArgan trees that is used for cooking and seasoning. 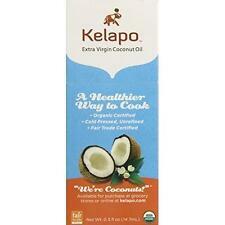 Unrefined coconut oil is a natural product from the flesh of the coconut. It is produced by the stamping in cold temperature (40 degrees), unrefined, unfiltered and. 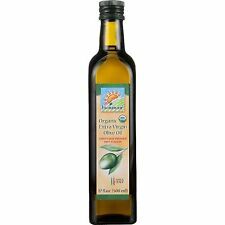 Considered to be the healthiest oil because of the rich content of nutrients and lauric acid. Gallo celebrates the "Portuguese Soul" with a limited edition of 500ml Extra Virgin Olive Oil. Gallo - Victor Guedes - 500 ml - 16.90 oz. from the gastronomy to the art, passing through the history and the culture. Yad Mordechai. Yad Mordechai Olive Oil. Olive oil - 750ml. High Quality. One of the main differences between Baraka Virgin Coconut oil and refined coconut oil is the scent, taste and the nutritional value. Baraka Virgin Coconut Oil retains the fresh scent and taste of coconuts along with its nutritional value, whereas the copra-based refined coconut oils have no taste at all due to the refining process. Hemp pressed cold hemp oil is extruded from carefully selected and tested hemp seeds. Hemp oil 250 ml - cold pressed high quality OLVITA. The country of origin of the raw material used for pressing is different from the country of origin of the oil. Patanjali Cow ghee is full of nutritive properties and an ideal diet. Note:- Images are for illustration only. The use of cow ghee does not enhance cholesterol in our body and it is not harmful for the heart. Desi-ghee is useful for better digestion and energy. Desi-Ghee is often used for religious purposes. Selected High quality Extra Virgin Olive Oil that is produced in Crete isl in our Family's Olive-tree fields Of Koroneiki variety since 19th century. of Greece. Extra Virgin Olive Oil from CRETE island of GREECE 250ml container. Pure Organic First Press Quality RAW Unrefined. Coconut oil has been demonized in the past because it contains saturated fat. In fact, coconut oil is one of the richest sources of saturated fat known to man, with almost 90% of the fatty acids in it being saturated. 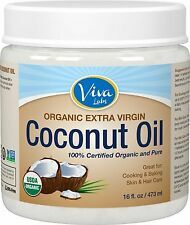 Our Virgin Coconut Oil Products: Gainmart Premium Organic Virgin Coconut Oil Highest Quality 8 FL OZ. Gainmart Premium Organic Virgin Coconut Oil for Pets 100% Pure 16 FL OZ. 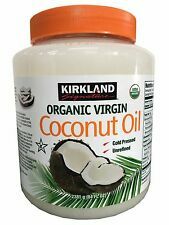 Gainmart Premium Organic Virgin Coconut Oil Highest Quality 16 FL OZ. Made from fresh coconuts, not dried copra. There is no comparison between Nutiva's cold-pressed, organic virgin coconut oil, with its light taste, pleasant aroma, and pure white color, and industrialized coconut oil, with its bland taste, faint aroma, and off-white color. Already then it was noticed that crude turpentine has the strongest effect in combination with natural oils. Biologically active agents and essential oils which have powerful antibacterial and antifungal action are a part of crude turpentine. MONINI GLAZE BALSAMIC VINEGAR of MODENA 250G 8.8 OZ - 4 FLAVOURS - DRESSING TRY! Premium Top Quality "Terra Creta" Bio Extra Virgin Olive Oil 500ml from Chania Crete. Borage oil 50ml NATURAL cold pressed 100% BIO - ETJA. Oil cold pressed, obtained from the seeds of borage. Anti-inflammatory, antibacterial, adjusts the humidity, the conversion of cellular and sebaceous glands. 100% Pure Corn Oil. Size: 750 ml. Apricot Kernel Oil 250ml cold pressedunrefined. Apricot oil is extractedfrom the seeds of the ordinary apricot. It is characterized by a delicate flavor reminiscent of almonds and a light yellow color. We produce our oil by non-industrial way, manually, on a wooden press, with love. Traditional Oak Wood Press never heats the oil about 20 C. Authentic and 100% Natural, Extra Virgin, Unfiltered, First Press Only, Cold-pressed. 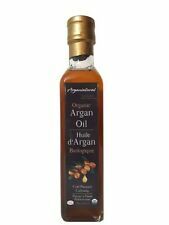 The ARG BOX virgin Argan oil is prepared with care from lightly roasted Argan grains. The extracted oil has a copper color and a subtle nutty flavor. It has a pleasant fruity aroma. The quality is due to a number of factors, including, suitable soil, plenty of sunshine, plenty of fresh air and appropriate direction of area (northern). The oil is produced from "koroneiki" variety olives. Aroma and Creamy Taste of Fresh Coconut! Other Ingredients: Organic extra virgin coconut oil. Organic, extra virgin, unrefined & unbleached from non-GMO coconuts; Hexane Free. Total Fat 14 g 22%. Calories from Fat 130. Homemade Butter Slimes Soft Fun to play with! 3 x 2 oz. stress relief!! Slime! ThisTropical Traditions Gold Label Virgin Coconut Oil is a truly unrefined coconut oil . This coconut oil is made on Mt. Banahaw and surrounding areas from organic coconuts . Extra Virgin Olive Oil from CRETE island of GREECE 500ml container. Selected High quality Extra Virgin Olive Oil that is produced in Crete isl in our Family's Olive-tree fields Of Koroneiki variety since 19th century.